Kori Siebert is from Benedict, NE and graduated from Heartland Community Schools in 2017. She is currently a sophomore and is majoring in Speech Communications and minoring in Journalism. 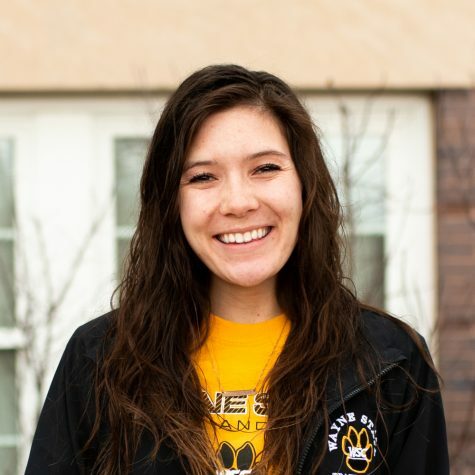 Kori runs track and field, is a navigator around campus, CRU member, and an auxiliary editor for the Wayne Stater. Kori’s favorite hobbies include reading, eating, and watching Netflix and her favorite foods are spaghetti and ice cream. She has one sister who has five kids under the age of six, including twin girls, and also has one brother.